Home Cover Feature ORANGE WITH BLACK ACCENTS!…Mom Nature knows best!! ORANGE WITH BLACK ACCENTS!…Mom Nature knows best!! There are those times when as an artist you just have to let Mother Nature choose your palette, and in choosing our house colors this was one of them! 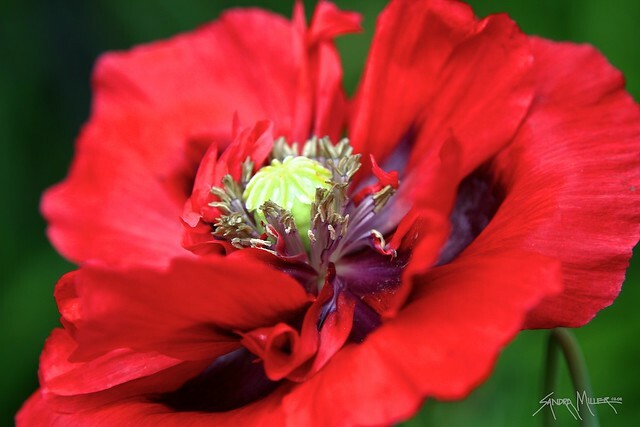 You all have seen my zillions of photos of orange and red poppies and know I use these colors in varying shades and intensity a LOT. A litte broader view. I am still not sure where or how I should incorporate a bit more detail on the doors in black or Netsuke without getting too busy looking. I need to do something to break it up but can also use black pots with bamboo in them . The garage doors rarely get opened as this is my glass workshop and exercise room. This is what I did all day yesterday…..Scrubbing disassembling and re assembling a LOT of storm windows and screens. Wow that was a lot of work involving a soaking wash with ammonia…then a scrubbing on all sides of all panes, removing the screens, soaking and scrubbing those. then paper towel and Windexing and drying all the panes, then putting the screens back on. WHEW…but they are NOW DONE!! 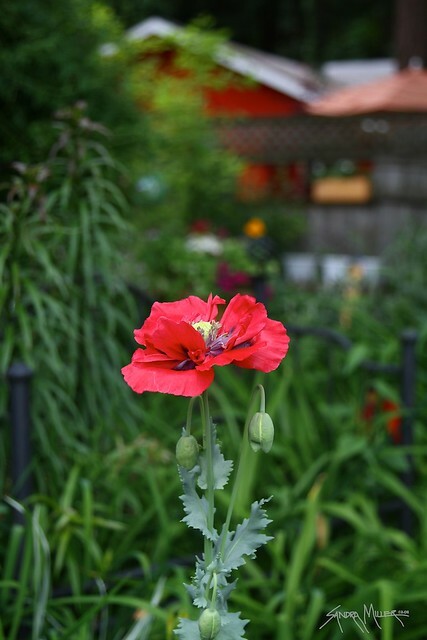 AND OF COURSE THE POPPIES….THEY ARE IN THEIR ELEMENT AND THING THE HOUSE IS THEIR MOTHERSHIP! More photo updates this week and some new jools too!! This looks real sharp. The black door is perfect. I should paint mine a color with the stucco.